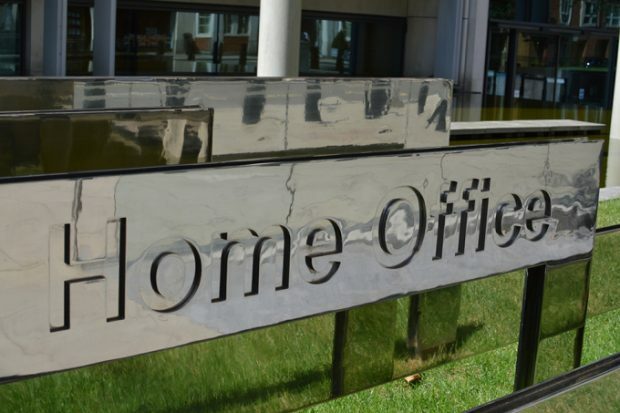 Today’s Home Office related coverage includes the Home Affairs Select Committee's report on the UK's preparedness for post-Brexit customs, and reporting on a Supreme Court judgement on minimum unit pricing for alcohol in Scotland. The Home Affairs Select Committee’s (HASC) report on post-Brexit customs operations has seen coverage across the Guardian, Financial Times, BBC Breakfast, the Today programme and Sky, and is referenced in a broader article in the Times. All coverage notes that the committee raised concerns about the security of UK borders in the event of a customs deal not being reached as part of the Government’s ongoing Brexit negotiations. The Home Office statement in response to the HASC’s report is below. We are fully focused on making the UK's exit from the EU, and our new trading relationship with the world, a success. We have outlined our proposals for ambitious future trade and customs relationships with the EU and are confident we will reach agreement. We will ensure we have the resources we need to continue to run effective customs, borders and immigration systems in the future. A good deal with the EU is in our mutual interest. We are optimistic about achieving that, but it is the duty of a responsible government to plan for a range of scenarios, which is exactly what we are doing. Alcohol Health Alliance UK is featured in the Guardian calling on the government to introduce minimum unit pricing for all alcoholic drinks in England, after the Supreme Court ruled yesterday that the Scottish government's measure was legal under European Law. Our statement in response to the ruling is below. We have noted the ruling of the UK Supreme Court in favour of the Scottish Government. Minimum unit pricing will continue to remain under review pending the impact of its implementation in Scotland. The Government continues to consider a range of measures available to control excessive alcohol consumption through taxation and pricing. We are also working to address the harms caused by alcohol, through our Modern Crime Prevention Strategy, published in 2016. The Strategy contains new measures to prevent alcohol-related crime by improving local intelligence and equipping the police and local authorities with the right powers.